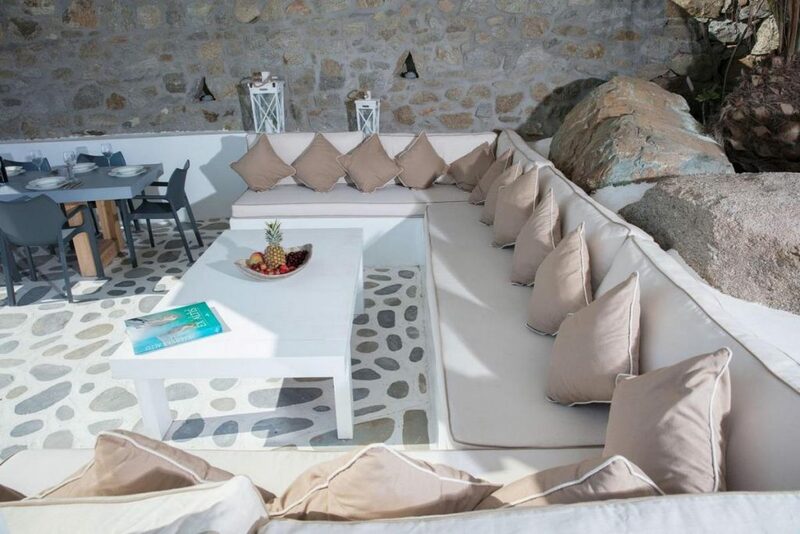 The divine luxury Mykonos villa, Vanora, is located in Aleomandra in the south part of the island. Totally wind protected, only 2 km from the beach and 5 km from the town center; what else could you ask for? 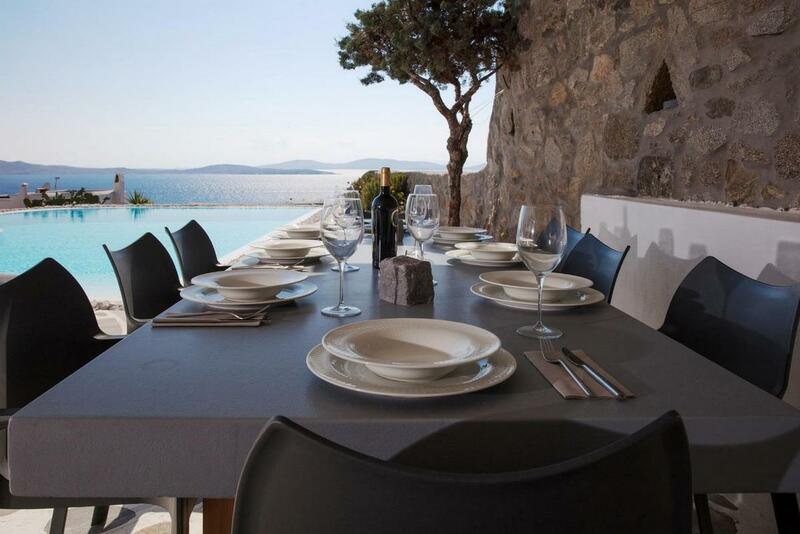 Ideal for 8 guests, who want to unwind in privacy and enjoy the view of the crystal-clear Aegean Sea. Vanora boasts a great outdoor lounge area. The highlight is the freeform private pool of 70 sqm. surrounded by seating areas that are perfect to have breakfast on or get your suntan color. The BBQ and alfresco dining areas create the perfect setting for sunset dinners after coming back from the beach. 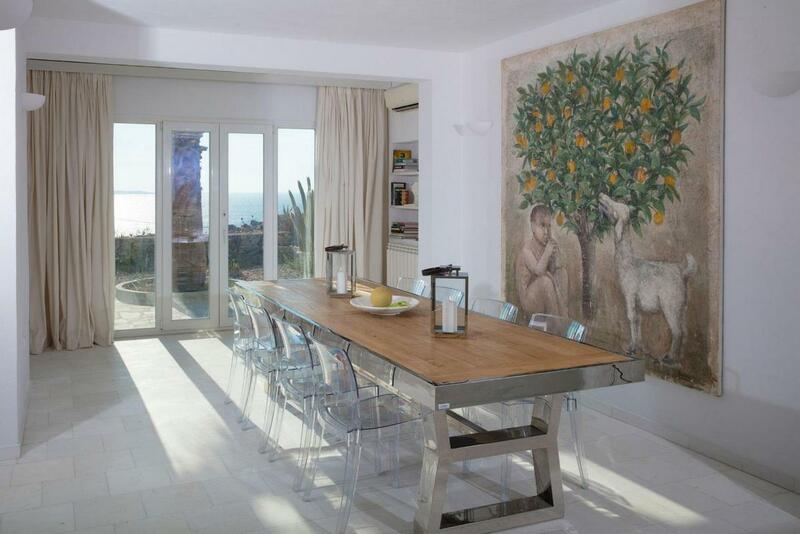 The villa’s Greek interior design is minimalistic with the white color being the dominant. 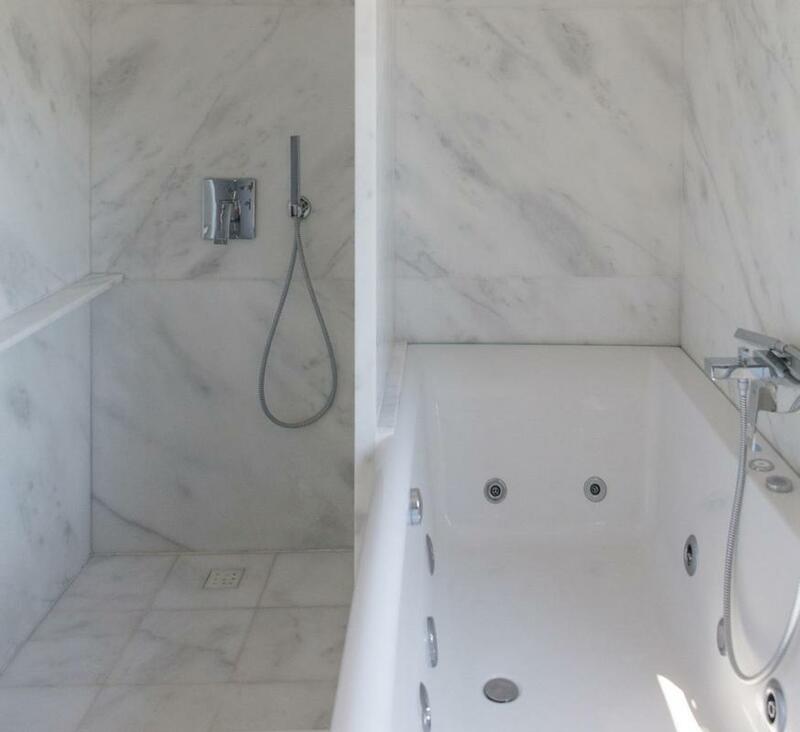 Amenities of the highest standards are waiting for you! King size beds, rooms with view, fully equipped kitchen and large living area with SAT TV are only the beginning. Enjoy this masterpiece of luxury and for whatever you need remember that our concierge will be discreetly by your side 24/7. Enjoy! 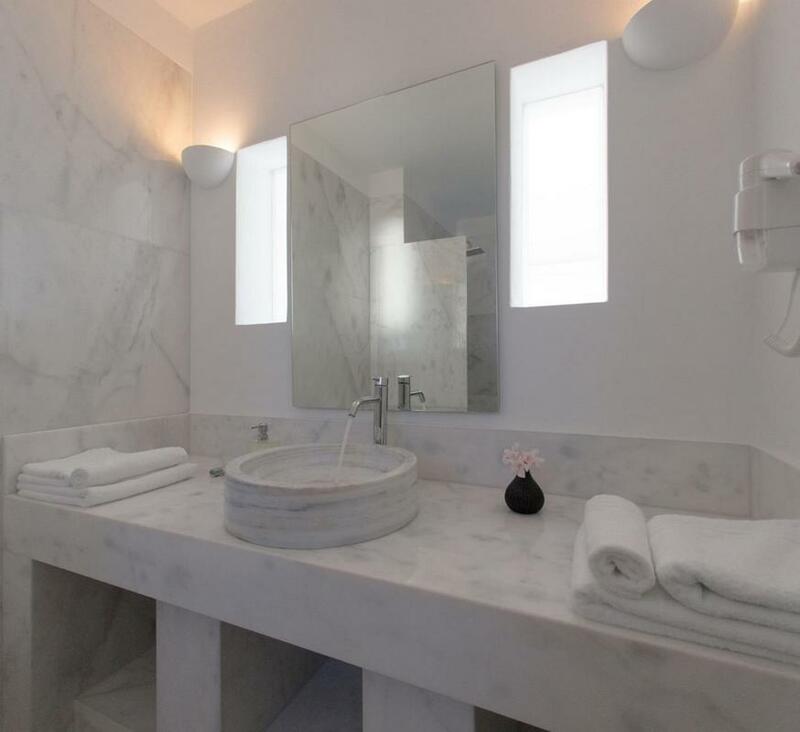 Independent guest bedroom with king size bed, A/C, en-suite marble bathroom with shower, hairdryer, toilet/bidet, panoramic window to the Aegean and sunset. Direct access from bedroom balcony to the pool area. Large living area consisting of different connecting rooms. Sitting area with sofa and plasma TV with foreign channels & stereo music installa- tion. Second area with large window has sitting area with 2 large arm- chairs. Opens up to dining area with dining table for 8 up to 10 guests and connected to small but well equipped open plan kitchen: with stove/oven, large fridge, dishwasher, microwave, nestle coffee maker, toaster. Grand master bedroom (40 sqm.) with king size bed, A/C, en-suite large marble bathroom with Jacuzzi bathtub (hydro massage, aero massage, light therapy), hairdryer, shower, toilet/bidet. Panoramic windows to the Aegean and sunset, French doors with a view to the famous Agios Ioannis beach with direct access from the balcony to the pool area. Master bedroom (26 sqm. appx.) with a king size bed, A/C, en-suite large marble bathrooms with jacuzzi bathtub (hydro massage, aero massage, light therapy), hairdryer, shower, toilet/bidet. 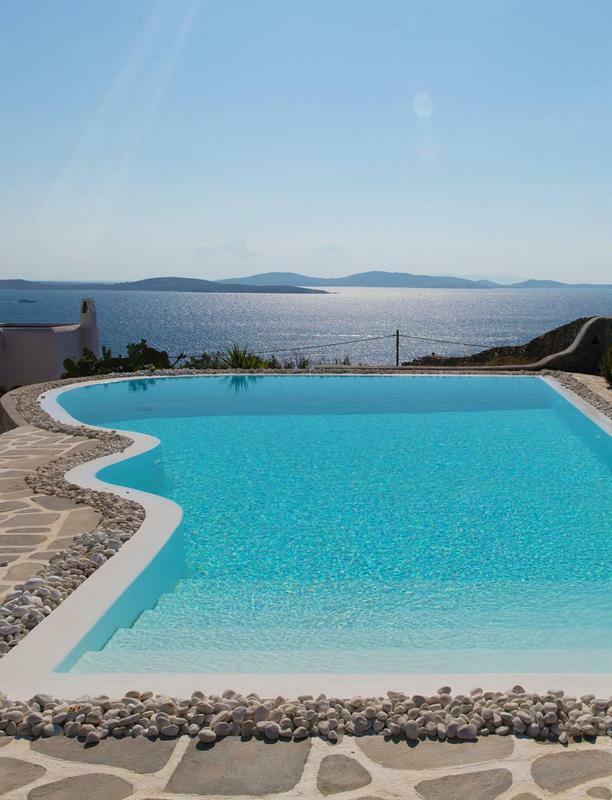 Panoramic win- dows to the Aegean and sunset, direct access from the balcony to the pool area. Independent guest bedroom which can be reached a few steps up, access through the garden with king size bed, A/C, en-suite marble bath- room with shower, hairdryer, toilet/bidet. Panoramic window to the Aegean and sunset. Direct access from bedroom balcony to the pool area.